Evia is the second largest Greek Island after Crete, but usually can Evia is not seen as an island , but as part of the mainland . In fact, its soil and vegetation of the opposite coast of the mainland are very similar and one could compared to the Gulf of Evia which separates the island from the mainland, with a width river, which is crossed by a bridge, the bridge of Halkida , which connects the banks of each other. In many places you’ll find ferries connections between Evia and the mainland: Glyfa , Agios Konstantinos , Arkitsa , Oropos , Agia Marina , Rafina and many more . The land area of ​​Eboia approx , 3658 km2 lare, the length of the island is 180 km and has a width of 7km to 48km . The coastline is a total of 677km . 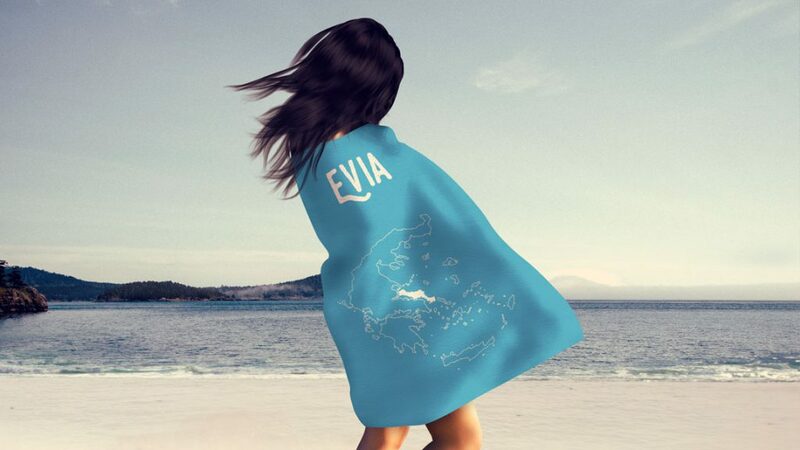 Evia is divided into three regions , North, Central and South Evia . The North is out of flat mountains and hills and a large plain to the sea . Central Evia is mountainous with the highest peak being the Dirfi (1743m). South Evia is flat, with the highest mountain in that region being the Ochi . Evia is also rich in rivers and hot springs . in ancient times Evia was called Makrys, Dolichi and Ellpia . It was inhabited since the Neolithic Age . On the Trojan War , the island was involved with 40 ships . Its greatest prime had the island during the 8. Cent. BC. The largest cities of the island, Chalcis and Eretria, founded colonies among others in Sicily and southern Italy . In the 5th year BC.. it was conquered by the Athenians , later by the Macedonians In 146 BC. Evia has been integrated into the Roman Empire. In Byzantine times Evia belonged to the province Hellas, with Chalkis as its capital. In 1205 CE. Evia was conquered by the Franks. From 1470 to 1833 the Ottomans ruled over the island . Towards the end of the 17th century the Venetians besieged Chalkis unsuccessful. In 1821 the residents of Evia where involved in the liberation against the Ottomans. Towards 1833 the island was then integrated in to the new Greek State. connections are daily served from Athens to the main Places of Evia. Daily Bus connections are also Served from and to Thessaloniki. During the summertime, there are also connections to Aidipsos. Between Oropos and Athens daily regular connections via Coach bus. Final stop Athens. From Agios Konstantinos / Province Phthiotida: In the summer season there are regular daily connections with Kymi. From Athens to Agios Konstantinos, connections are operated by KTEL Busses. Chalkida the main hub of the Island. From there, connections are handled by KTEL Bus to most of the other Towns. In addition, there are numerous taxis and car rentals and bike rentals. Buses to Rafina have their final stop in Athens on the Pediotou Areos Square. KTEL [LINK] Tel. : 821 08 72. Buses to Agia Marina have their final stop in Athens on the Mavromataion Street. Bus connections from Athens to Arkitsa are operated by KTEL Busservice. Glyfia can be reached from Athens with the KTEL Coaches via Aidipso. Daily Train connections to Athens and Chalkida (Station Oinoi). OSE (Organistion of the Greek Railway) [LINK] Tel. : 52 40 601, 52 40 646. OSE Cahlkida: Tel. : 0221/22 386. From Oropos, daily Connections to Eretria. Distance 4 miles (journey time 30 minutes). During the summer time, regular Ferry connections with Karystos and Marmari. Port authority Rafina, Tel. : 0294/22 300. From Arkitsa / Province Phthodida daily Ferry connections to Aidipsos. Glyfa / Province Phthotida, daily ferry connections to Agiokampos. Daily Ferry connections from Paralia Kymis to Skyros. From Rafina connections to Karystos and Marmari, Nea Styra, Chalkida. From Agios Konstantinos connections to Aidipsos, Limni, Chalkida, Oreoi. The transportation to Agios Konstantinos is handled via Busses by the Ferry company. From Volos to Paralia Kymis. During the summer also to Pefki, Oreoi. Port authority Volos [LINK] Tel. : 0421 / 38 888. From Paralia Kymis to Skyros, Alonnisos, Skopelos, Pevkochori, Marmara / Chalkidiki (only during the summer). Several Ports in Evia offer - by Ferry or Speedboat - also connections to the Sporades, Thessaloniki, Kamena Vourla, several Islands of the Cyclades, Trikeri etc.